CHICAGO -- Jane McGonigal will inspire 2014 ALA Annual Conference attendees from the very first session of the conference about the myriad possibilities for serious games and gaming to help improve lives and be integrated into a variety of library programming. The world-renowned designer of alternate reality games— games that are designed to solve real problems—believes game designers are on a humanitarian mission; her No. 1 goal in life is to see a game developer win a Nobel Peace Prize. ALA Annual Conference attendees will learn more when McGonigal appears as featured speaker at the Opening General Session, from 4 - 5:15 p.m. on Friday June 27. 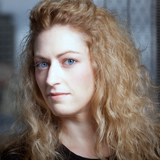 McGonigal specializes in games that challenge players to tackle real-world problems, including poverty, hunger and climate change, through planetary-scale collaboration. Her prodigious activity includes writing New York Times bestseller “Reality is Broken: Why Games Make Us Better and How They Can Change the World” (Penguin Press, 2011) and inventing/co-founding SuperBetter, a game that has already helped more than 250,000 players tackle health challenges such as depression, anxiety, chronic pain and traumatic brain injury. She has created and deployed award-winning games, sports and secret missions in more than 30 countries on six continents, for partners such as the New York Public Library, American Heart Association, International Olympics Committee and World Bank Institute. Her best-known games include EVOKE, Superstruct, World Without Oil, Cruel 2 B Kind, Find the Future and The Lost Ring, featured in the New York Times, Wired and The Economist and on MTV, CNN, and NPR. Also a future forecaster, McGonigal is the director of games research and development at the Institute for the Future, a non-profit research group. Her future forecasting work has been featured in The Economist, Vanity Fair, The New Yorker, O(prah) Magazine, Fast Company, The New York Times Science section and other publications. She is the founder of Gameful, "a secret headquarters for worldchanging game developers" and has consulted and developed internal game workshops for Fortune 500 and Global 500 companies, including Intel, Nike, Disney, McDonalds, Accenture, Microsoft and Nintendo. A frequent speaker including at TED and the New Yorker Conference, she has keynoted SXSW interactive, the Game Developers Conference, the Idea Festival, the National Association of Broadcasters, the Web 2.0 Summit, UX Week, Webstock and more. McGonigal’s appearance at 2014 ALA Annual Conference is sponsored by Penguin Group.